We’d love your help. Let us know what’s wrong with this preview of Jet Ski by Luke Thompson. Each book is clearly written using simple sentences and familiar vocabulary. Brilliant color photos, fascinating sidebars, and user-friendly fact boxes, charts, and tables highlight key information in the text. 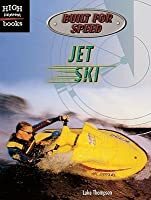 To ask other readers questions about Jet Ski, please sign up.